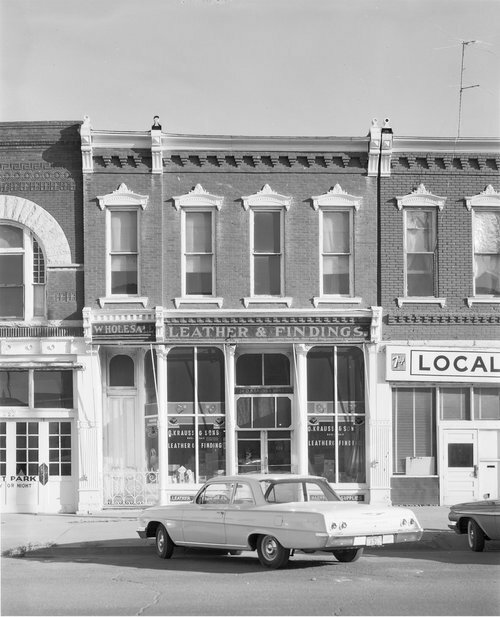 A photograph of O. Krauss & Sons Leather & Findings store located at 224 Kansas Avenue, Topeka, Kansas. It was razed as part of an Urban Renewal Project. The store first opened its doors for business in 1869.